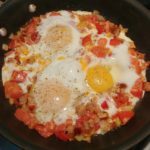 Our customers love our eggs as much as I do, and it’s been awhile since I shared a recipe, but I just have to share this one that I tried this morning. It’s based on an Atkins recipe, but it has no weird ingredients, just all normal, natural good things. Farmer Bob pronounced it DELICIOUS! Sprinkle of dried basil, about 1/3 tsp. -Add olive oil to a 10-inch nonstick skillet and heat over medium flame. -Add onion, garlic, ham, and dried basil and saute till onion starts getting soft. -Add chopped tomato, roasted red bell pepper, and dash cayenne. Saute till heated through but not broken down. -Using a large spoon or spatula, scoop out an egg with its bed of vegetables onto your plate. 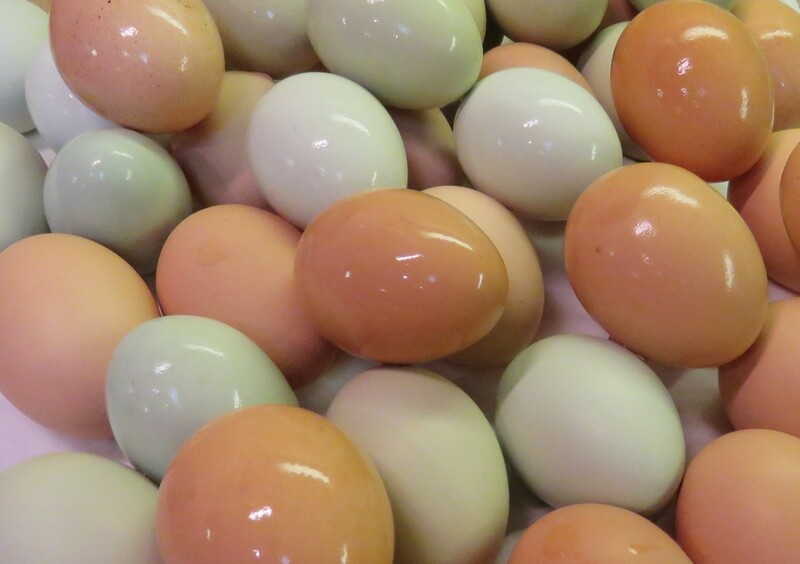 Take some of our delicious blue and brown eggs with you when you come to visit on Sunday afternoons. They are still just $3.50 a dozen!